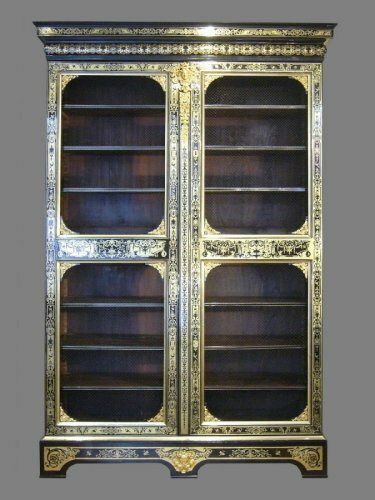 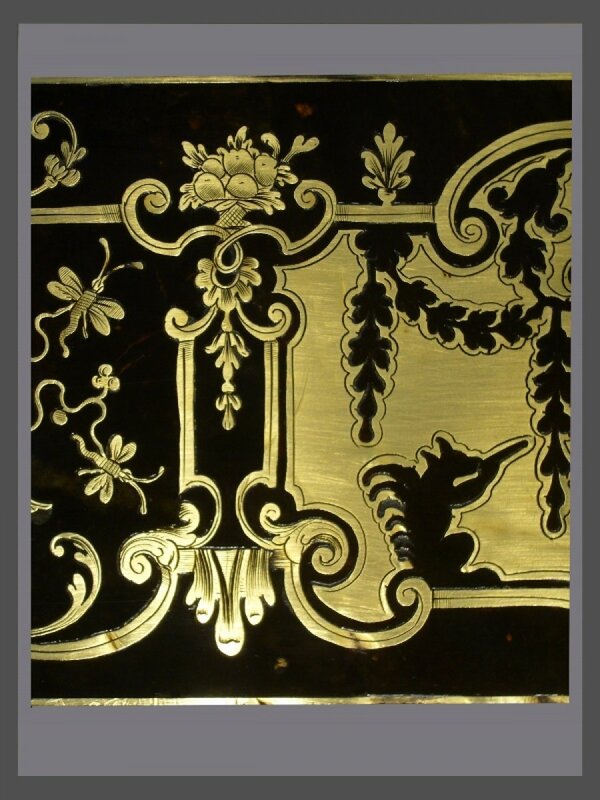 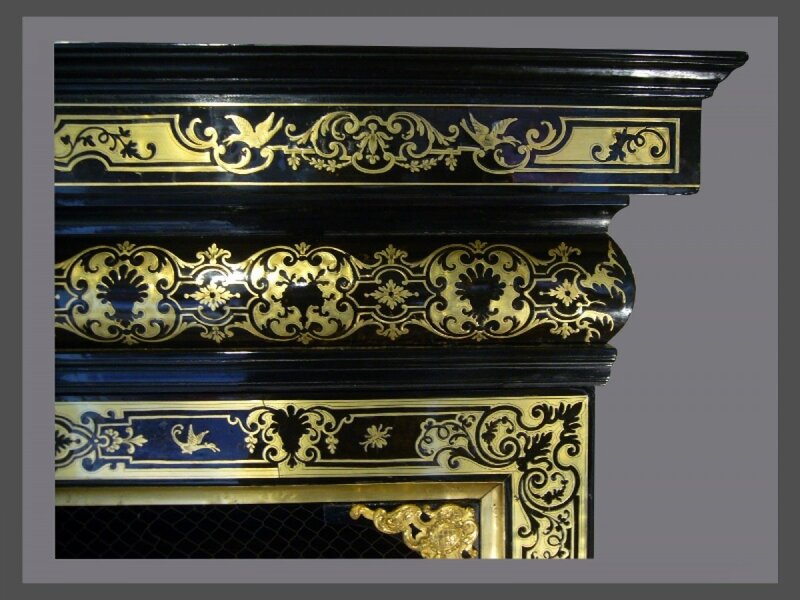 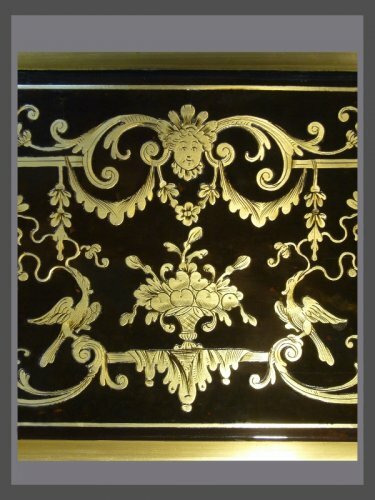 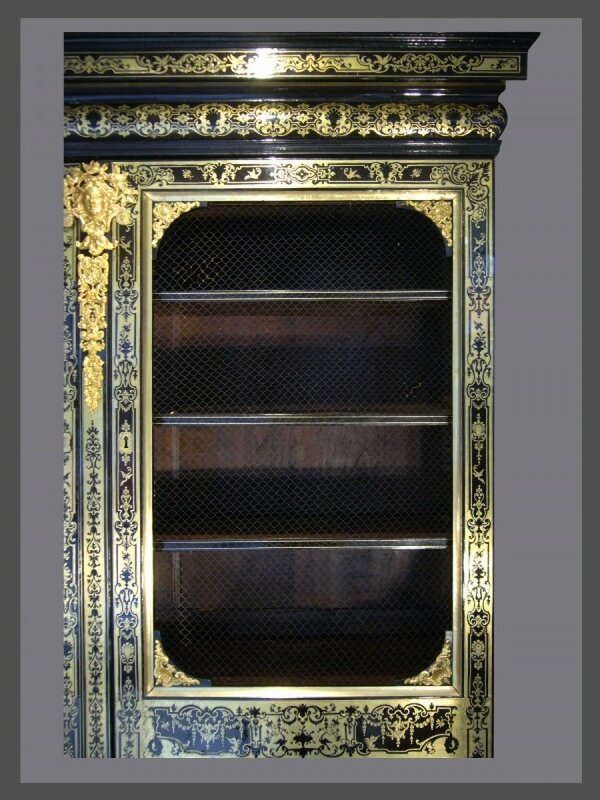 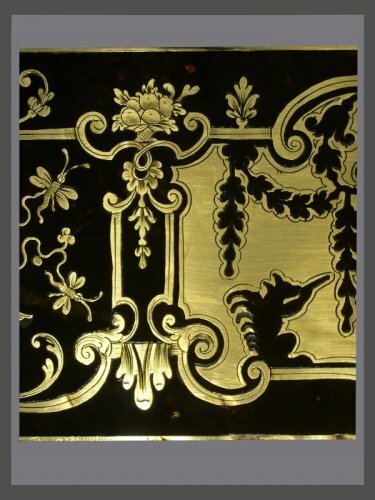 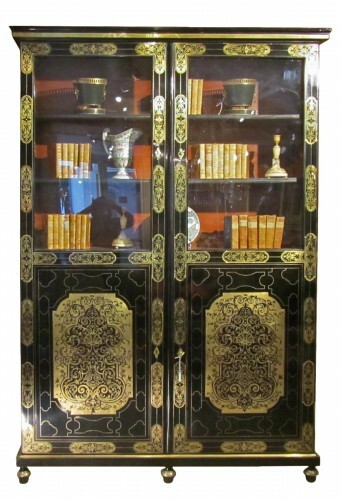 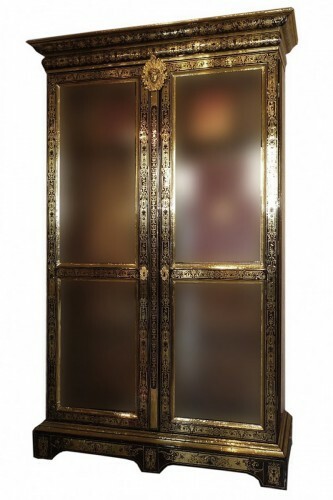 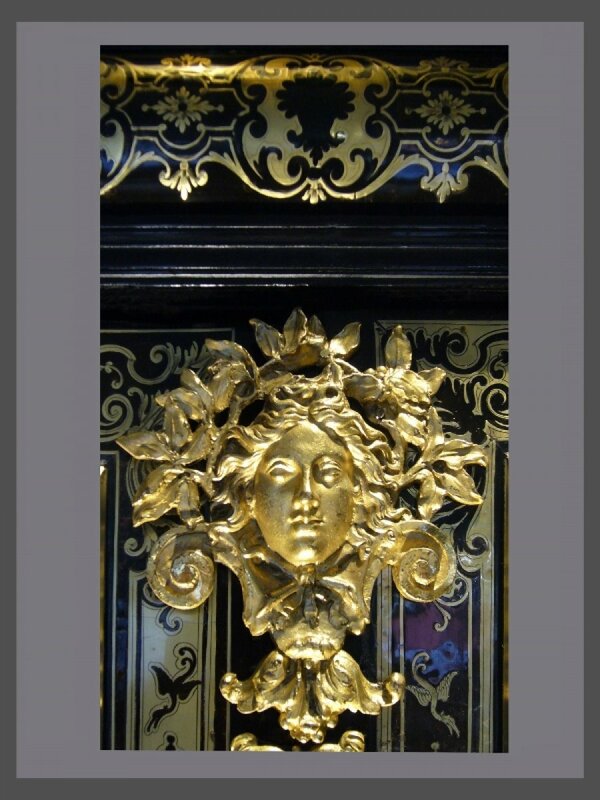 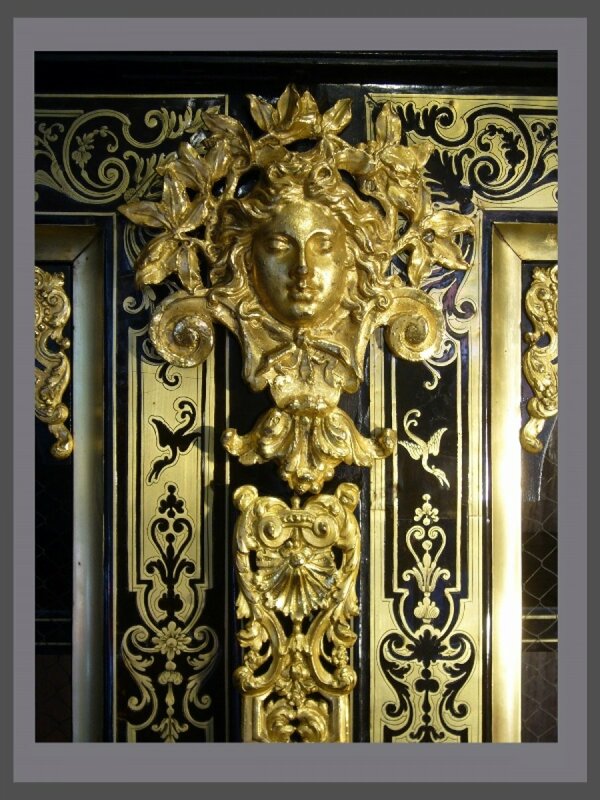 An exceptional Louis XIV brassinlaid red tortoiseshell Boulle marquetry bookcase, signed Nicolas SAGEOT. 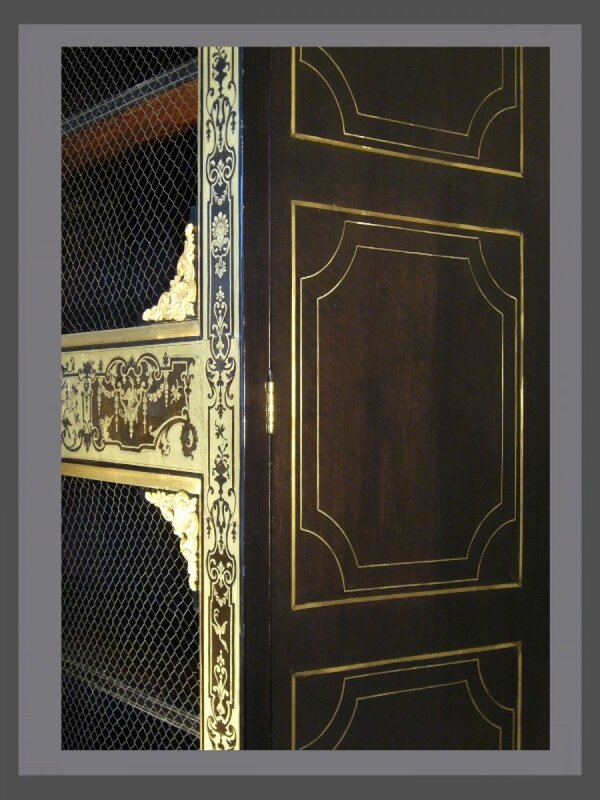 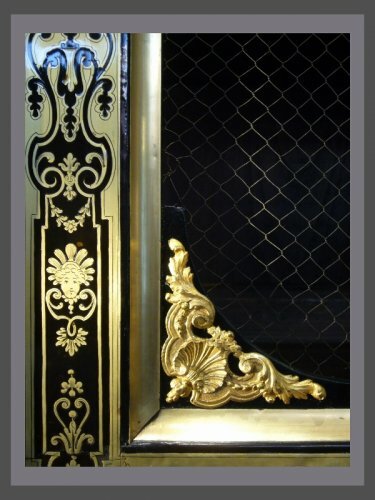 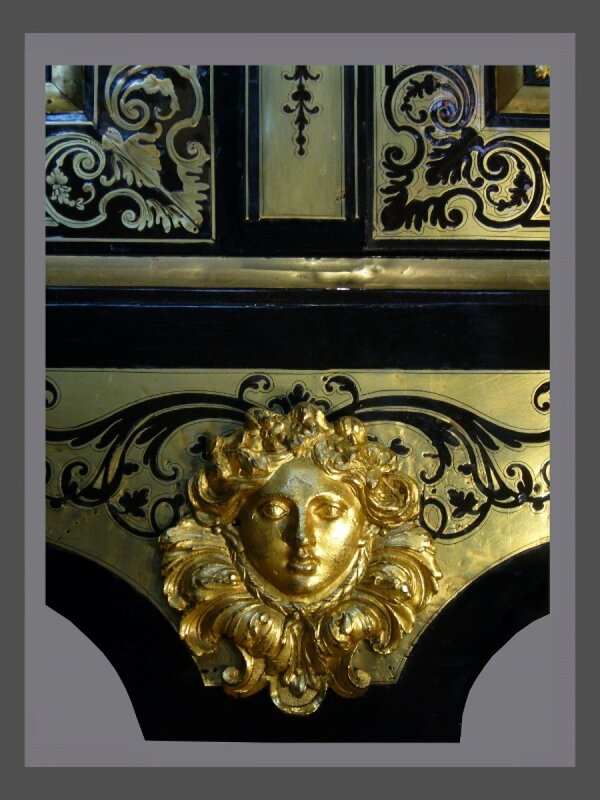 Inlaid wth première and contrepartie marquetry with a breakfront cornice above a fulllength divided grilled doors centered by a female mask. 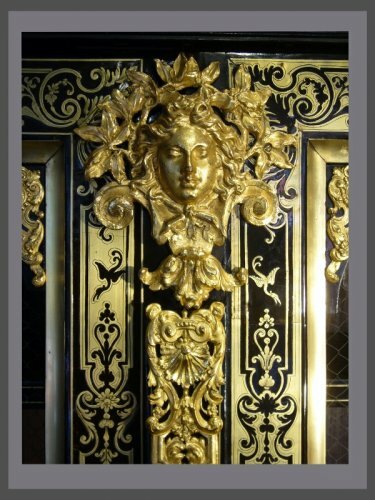 Rich ornamentation composed of acanthus leaves, drapes, butterflies, squirrels, baskets of fruits and flowers, birds and woman masks. 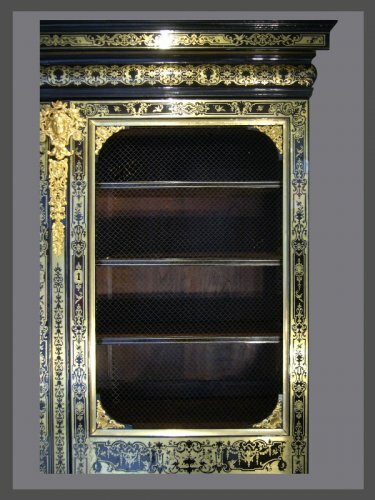 Six shelves and two drawers. 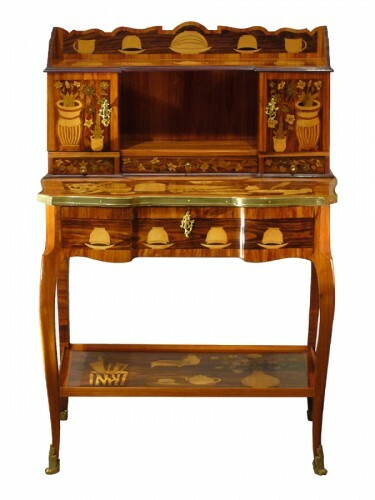 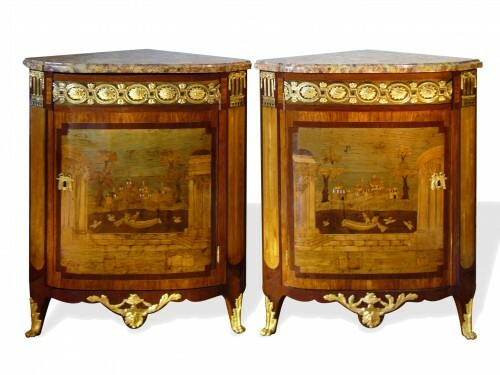 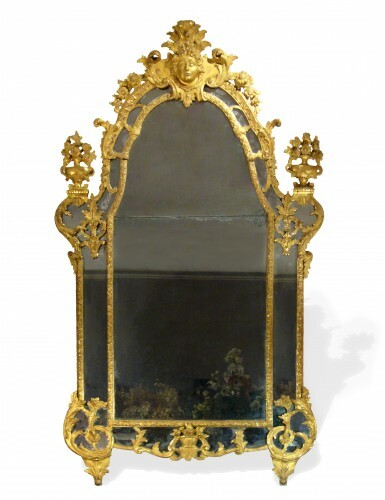 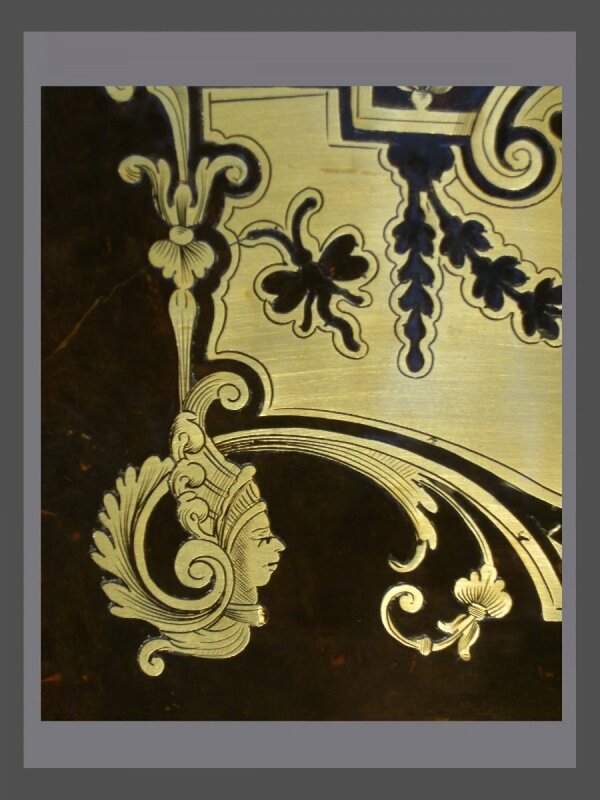 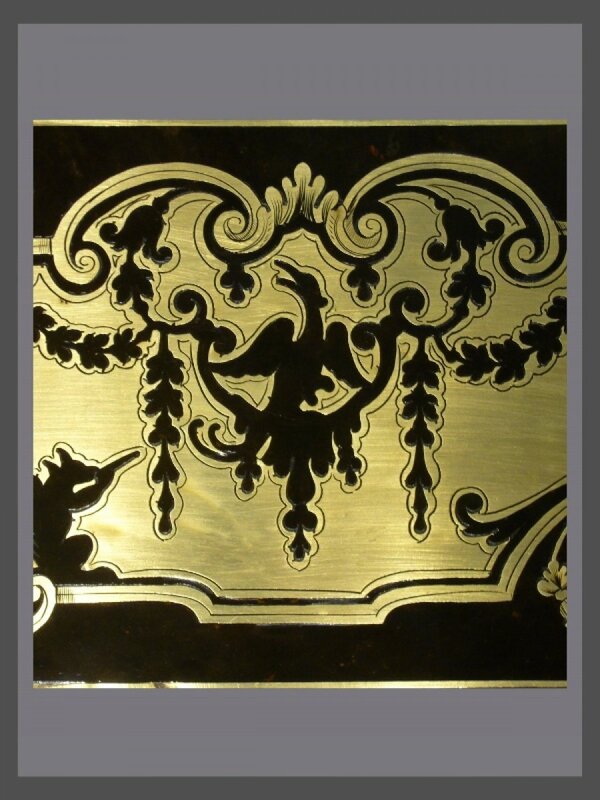 Each original and with brass inlaid marquetry. 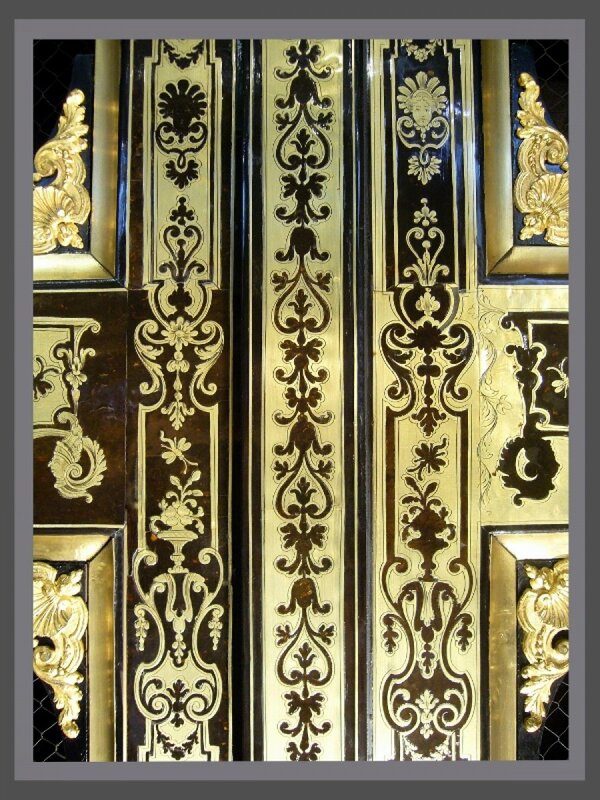 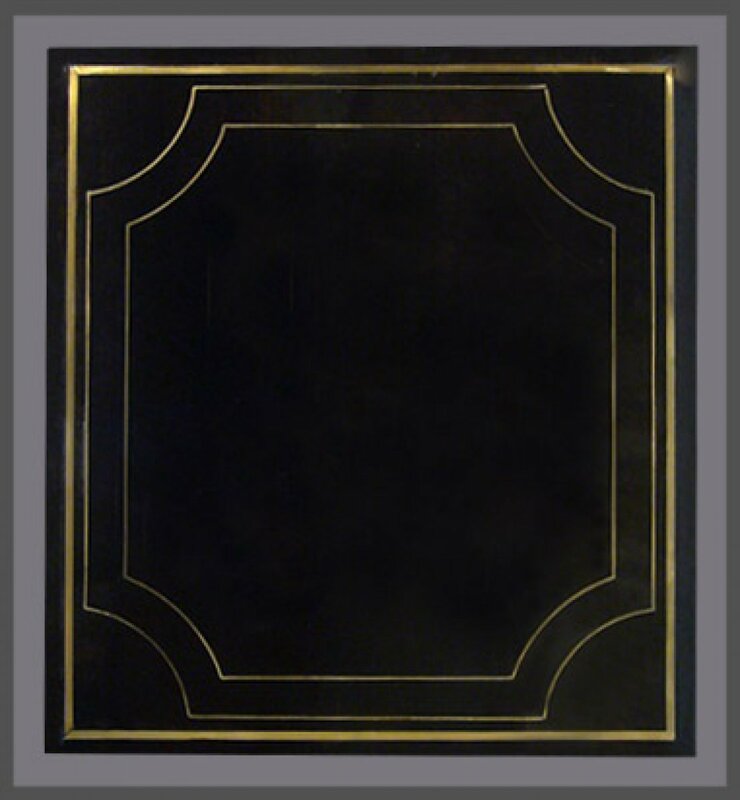 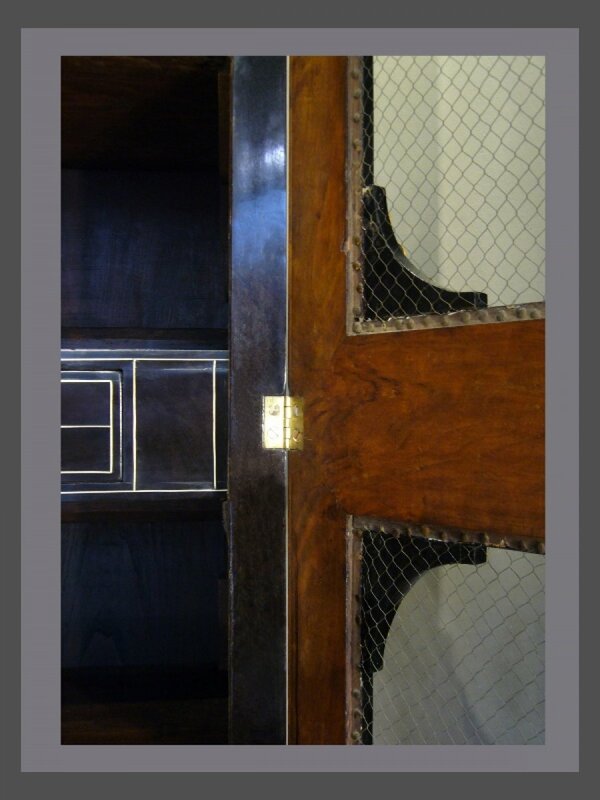 The side pannels inlaid with brass inlaid geometric designs. 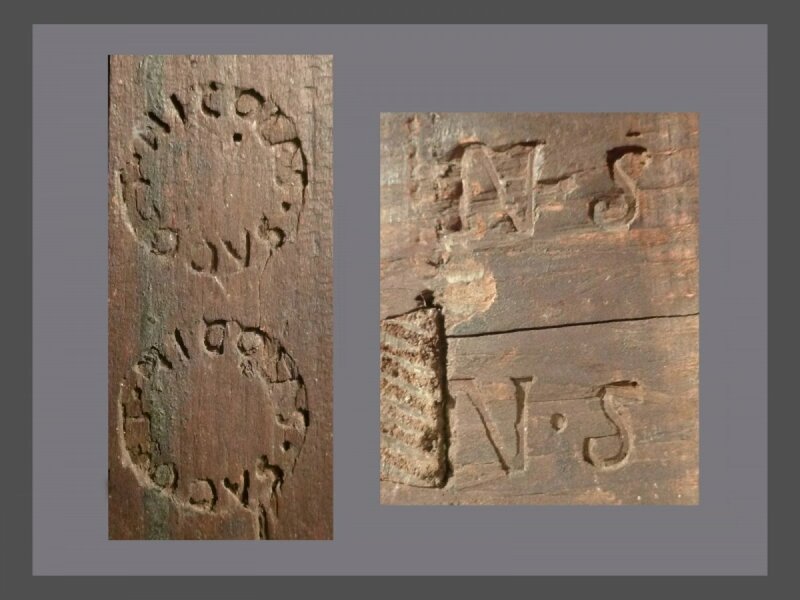 Stamped several times ‘NS’ and ‘Nicolas SAGOET’ with a circle.